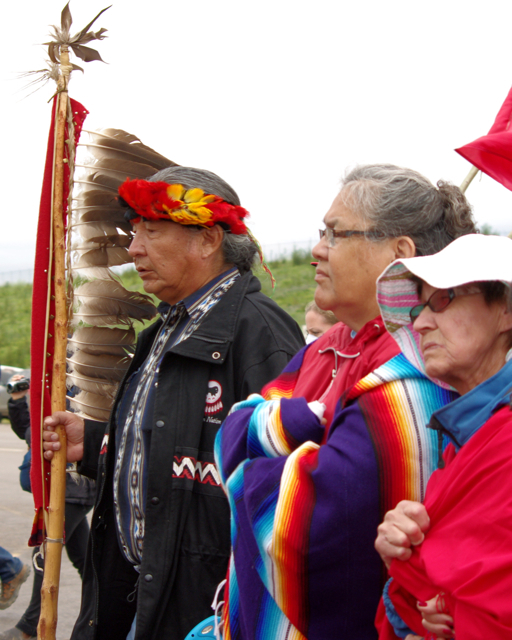 The walk is not a protest but a spiritual procession to heal the land and the people. 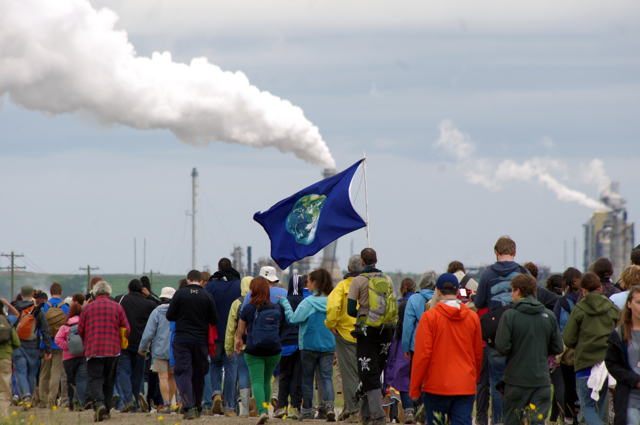 The words 'this is just wrong' echoed in my mind walking 14 kilometers through the barren, industrialized landscape in the heart of the Alberta tar sands last Saturday. Wrong on such an overwhelming scale and in so many dimensions, the only parallel that comes to mind is the destruction to the land wrought by a major war. 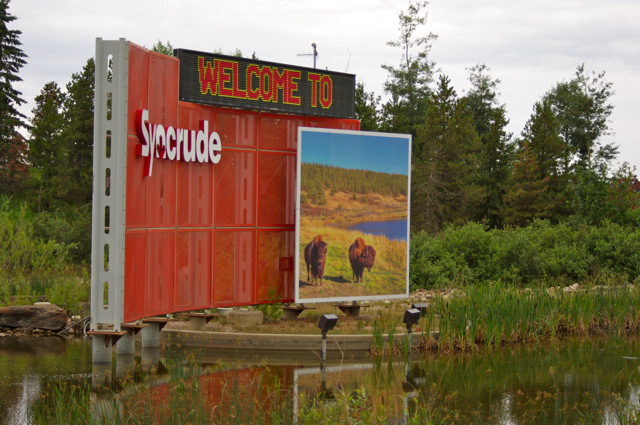 The blasted, battered lands along the Syncrude Loop look like a battle had been fought but with weaponry that left nothing alive — not a blade of grass or an insect. The once verdant boreal forest and wetlands are transformed into desert and toxic lakes. In their midst a huge industrial complex, chimneys belching smoke, workers housed in cramped barracks while heavy trucks roar by day and night. 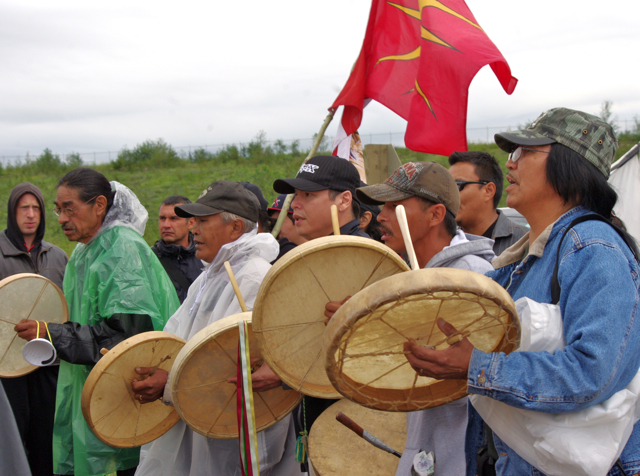 I felt a deep sadness for all those who work in the tar sands. I imagine that it must be a tough place, this noxious environment, to breathe, to sleep, to toil. 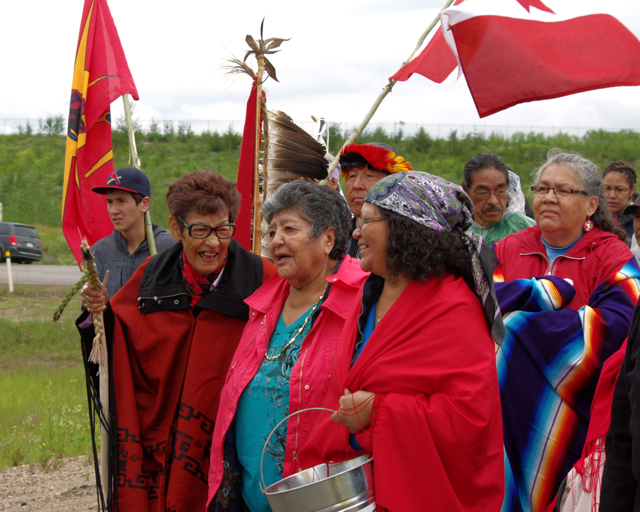 More than 500 of us from all over Canada and the US on the Healing Walk stood on the roadside straining to hear the prayers offered by elders from the Fort McKay First Nation. 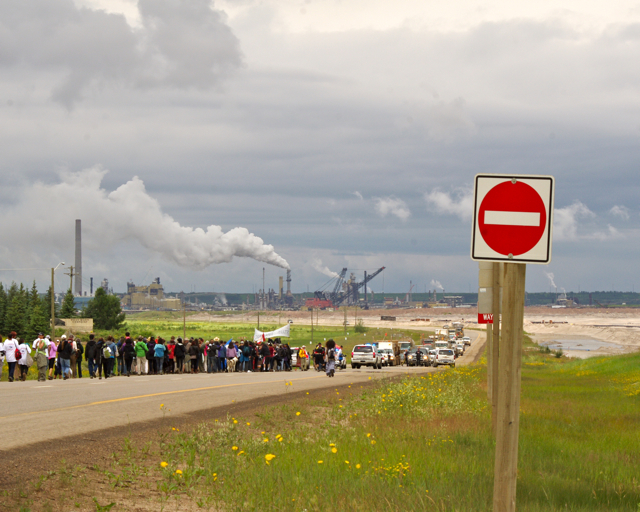 I felt a deep sadness for all those who work in the tar sands. I imagine that it must be a tough place, this noxious environment, to breathe, to sleep, to toil. I suspect the pay is the only thing keeping them going, because it's hard to find anything to be proud of looking around this industrial landscape. An RCMP officer told one walker that drug abuse is rampant and that even grade school children have been caught with cocaine. The Healing Walk is not a protest march. 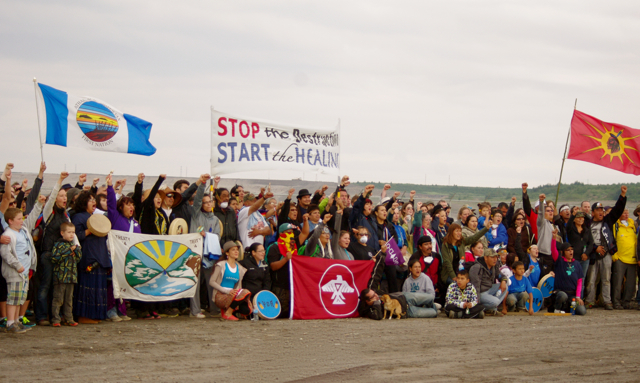 It is a spiritual gathering focused on healing the land and all living things including people harmed by the relentless expansion of the world's largest industrial project. The Walk is not anti-industry or anti-worker, it's pro-health and pro-solutions. This included praying for the healing of governments corrupted by the oil industry and for the awakening of industry executives to the terrible legacy they're leaving for future generations. All of us use oil in one form or another everyday. But since it is a one-time gift from Mother Nature, should not all of our efforts be directed to using as little as possible, knowing the consequences? Instead, $200 billion has been spent in the tar sands, destroying hundreds of square kilometres of land and water, to get more of this dwindling resource. That is a deeply short-sighted policy, as more people are beginning to realize. 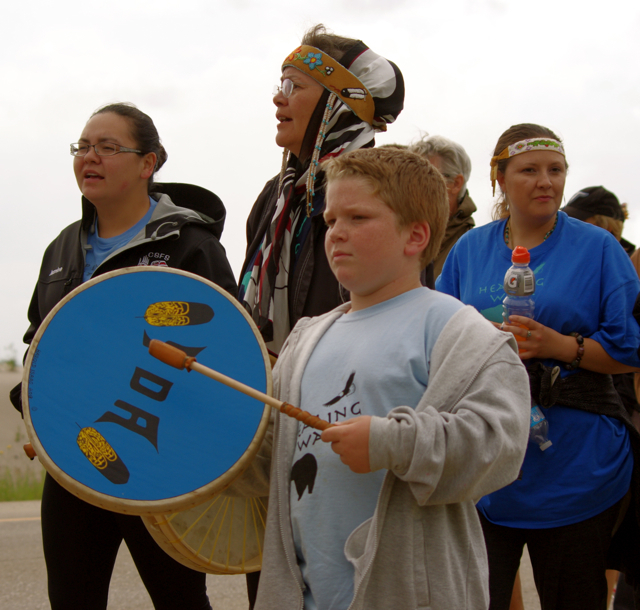 Four years ago, just 75 people joined the first annual Healing Walk held outside of Fort McKay, 800 km north of Calgary. It's remote. 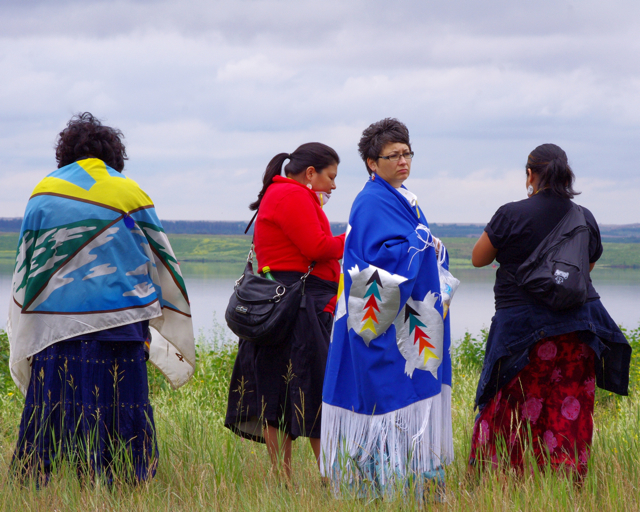 But for the fourth Healing Walk, hundreds of people camped in a field on the shores of Lake Gregoire, also known as Willow Lake. Four is a sacred number amongst many native peoples and in other cultures. 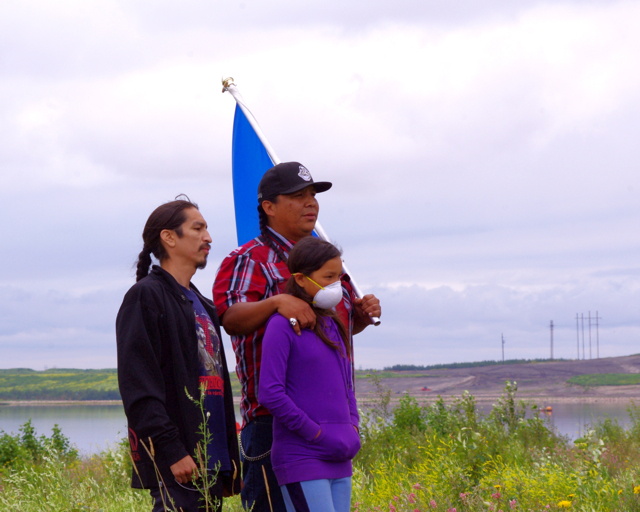 "It means this is the beginning of a new cycle, a slow down and eventual end to the tar sands," Clayton Thomas-Muller, a Cree from Manitoba and co-ordinator with the Idle No More movement, said prior to the event. And to mark this new beginning, a baby boy was born at the camp at midnight Friday, in the midst of a thunderstorm. "We have to be the people to say no. People are counting on us to say 'no, this is wrong'," Winona LaDuke an Anishinaabekwe (Ojibwe), writer and teacher from Minnesota told participants during workshops that Friday. Breaking "our oil addiction" can be done by "re-localizing and shifting to low-carbon ways of living," said La Duke. 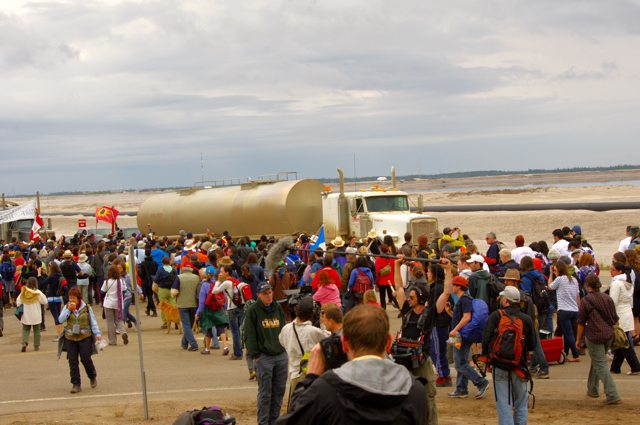 On Saturday I walked, talked and prayed all day in just one tiny part of the tar sands project. That night there was a celebratory feast, drumming and dancing. Yes, celebration because the new cycle has begun. In the early morning Sunday rain, I slipped out of the tent to stand amazed on the shore of Willow Lake. Others joined me, rubbing their eyes, and agreed they too saw a large floating island of grasses and shrubs that had emerged overnight. This sudden appearing seemed symbolic of new cycles, of change, and the power of nature to surprise and to create new life. Later that morning, a school bus stuck deep in the slippery Alberta mud was freed using only the ingenuity, muscle and co-operative efforts of a handful of people. Washing the muck off my hands, I remember marvelling to someone: "It's amazing what we can achieve when we work together." Stephen Leahy is an environmental journalist based in Uxbridge, Ontario. His writing has been published in dozens of publications around the world including New Scientist, The London Sunday Times, Maclean's Magazine, The Toronto Star, Wired News, Audubon, BBC Wildlife, and Canadian Geographic. Stephen Leahy graciously allows Straight Goods to reprint his articles. However, he earns very little compensation for his valuable work. His solution is Community Supported Journalism.